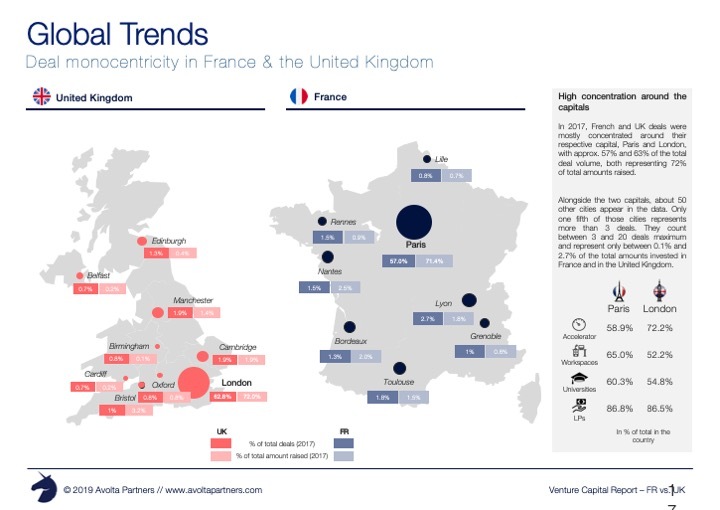 In the turbulent context of Brexit, Avolta Partners unveils some of its in-house data through a comparative report on venture capital dynamics in France and the United Kingdom. 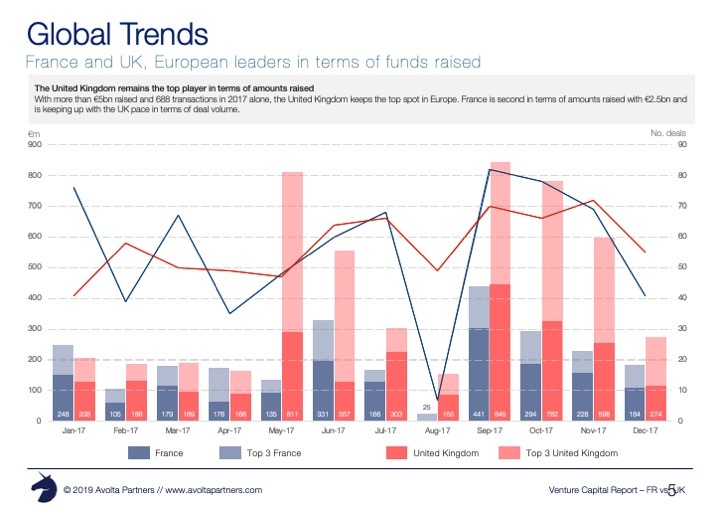 Avolta Partners’ reports are based on an internal platform, Avolta.io, and a dedicated team of analysts to identify and qualify the European deal flow. All the data studied are based on the minutes of general meetings and allow to measure the gap between press announcements and actual funds raised. 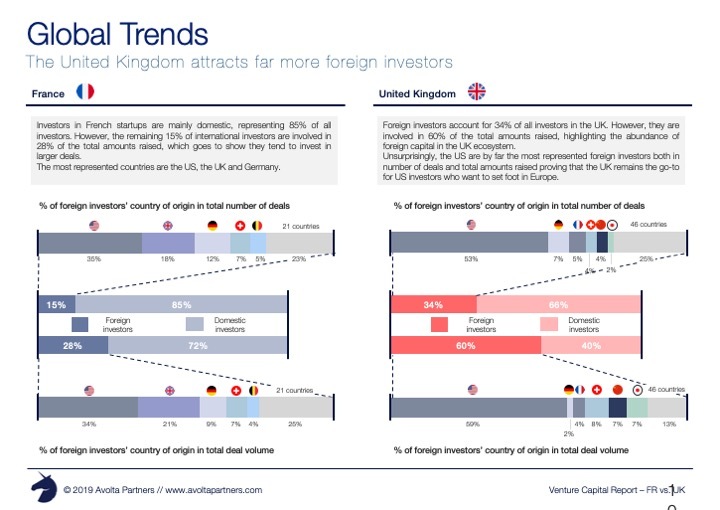 This report is therefore based on a systematic analysis of each transaction to identify trends that are as close as possible to the actual state of the venture capital market. 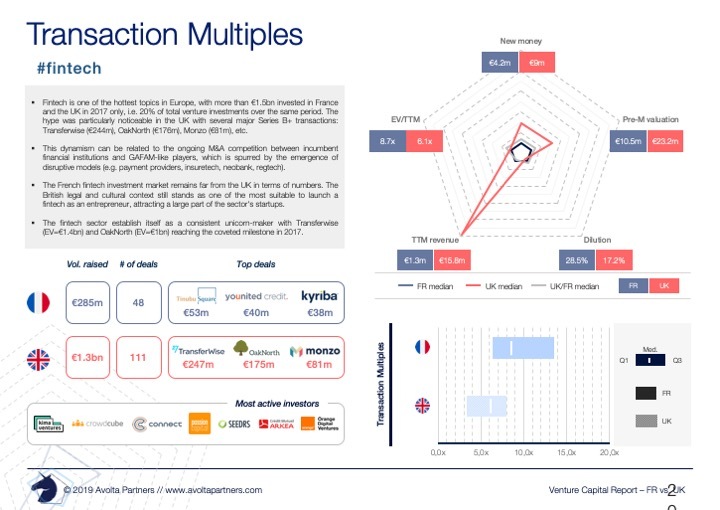 This edition reveals our 2017 consolidated data and provides valuation multiples by sector and business model, as well as some perspectives on what could be the true bottom line of 2018.